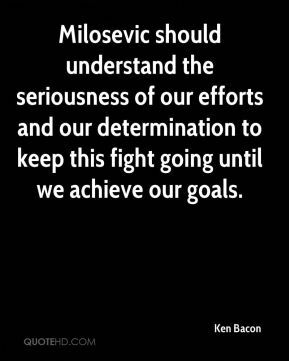 Milosevic should understand the seriousness of our efforts and our determination to keep this fight going until we achieve our goals. 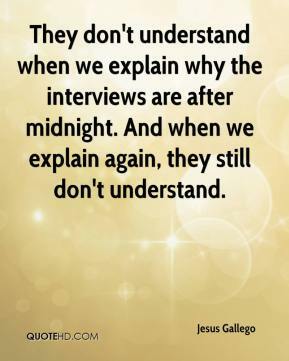 They don't understand when we explain why the interviews are after midnight. And when we explain again, they still don't understand. 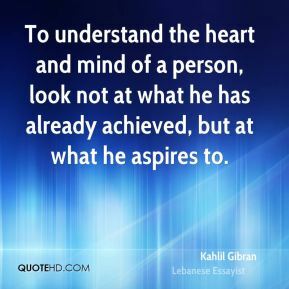 Having lived it and been around people who have lived it, you understand what it takes to get to this level and stay at this level. 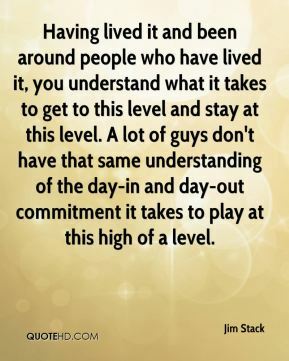 A lot of guys don't have that same understanding of the day-in and day-out commitment it takes to play at this high of a level. 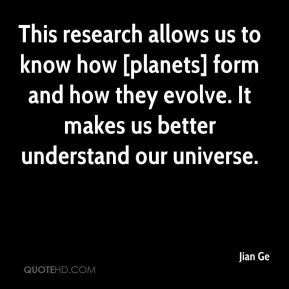 This research allows us to know how [planets] form and how they evolve. It makes us better understand our universe. 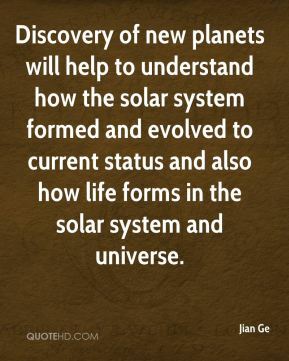 Discovery of new planets will help to understand how the solar system formed and evolved to current status and also how life forms in the solar system and universe. I think they understand what they're supposed to do and how they're supposed to play. 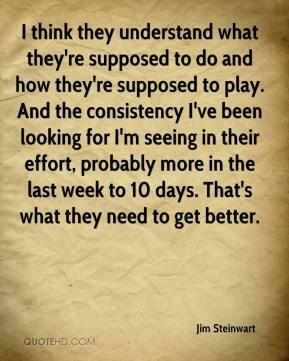 And the consistency I've been looking for I'm seeing in their effort, probably more in the last week to 10 days. That's what they need to get better. 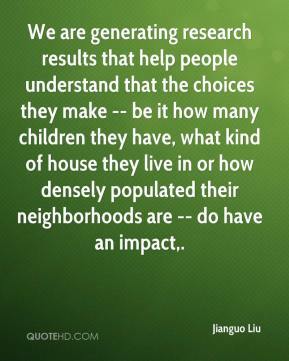 We are generating research results that help people understand that the choices they make -- be it how many children they have, what kind of house they live in or how densely populated their neighborhoods are -- do have an impact. They understand how I have to pay back God. 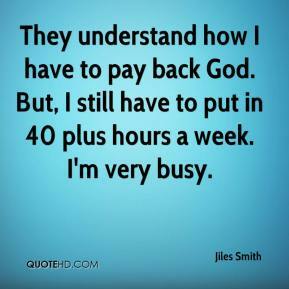 But, I still have to put in 40 plus hours a week. I'm very busy. 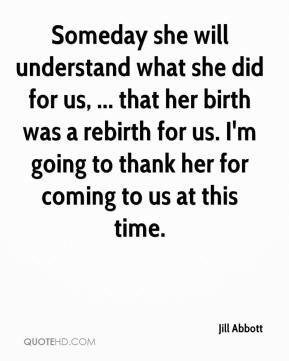 Someday she will understand what she did for us, ... that her birth was a rebirth for us. I'm going to thank her for coming to us at this time. 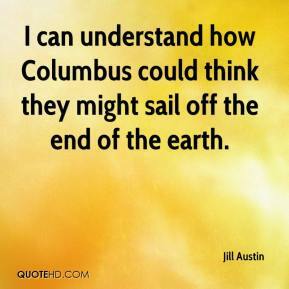 I can understand how Columbus could think they might sail off the end of the earth. 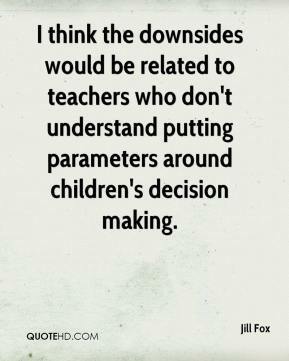 I think the downsides would be related to teachers who don't understand putting parameters around children's decision making. 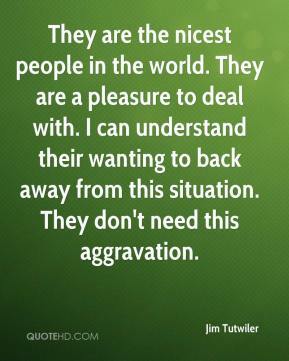 They are the nicest people in the world. They are a pleasure to deal with. I can understand their wanting to back away from this situation. They don't need this aggravation. Most cell phone decks are updated weekly, if not more frequently and it is important for content providers to understand how the shifting, dynamic environment impacts their bottom line. 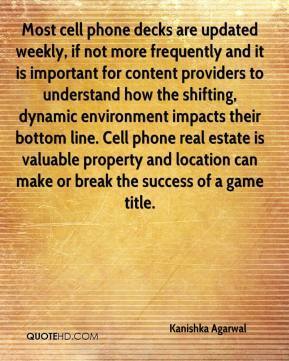 Cell phone real estate is valuable property and location can make or break the success of a game title. The symptoms teachers are experiencing are real; these teachers are ill. The BUT dismisses that nonsense because I don't understand how cancer, asthma, rhinitis or conjunctivitis falls into that category. 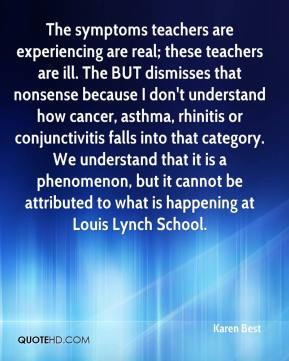 We understand that it is a phenomenon, but it cannot be attributed to what is happening at Louis Lynch School. 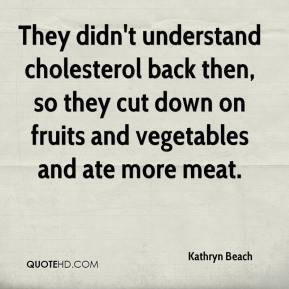 They didn't understand cholesterol back then, so they cut down on fruits and vegetables and ate more meat. It's not going to be a happy ending for everybody. 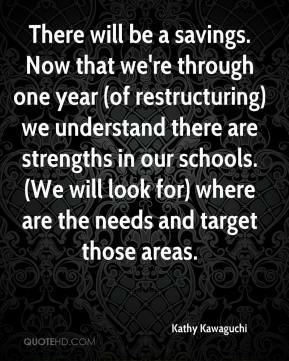 There need to be cuts. I understand that. But where is the accountability? 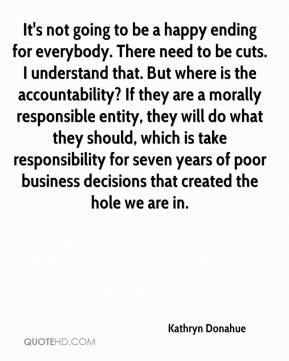 If they are a morally responsible entity, they will do what they should, which is take responsibility for seven years of poor business decisions that created the hole we are in. 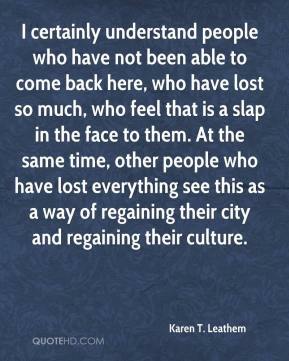 I certainly understand people who have not been able to come back here, who have lost so much, who feel that is a slap in the face to them. At the same time, other people who have lost everything see this as a way of regaining their city and regaining their culture. I couldn't understand why people were so angry. 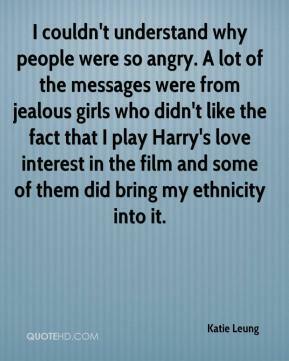 A lot of the messages were from jealous girls who didn't like the fact that I play Harry's love interest in the film and some of them did bring my ethnicity into it. 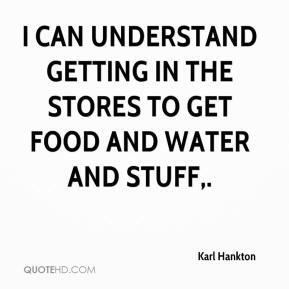 I can understand getting in the stores to get food and water and stuff. I understand their reaction is based on their personal loss. 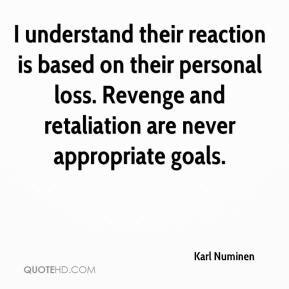 Revenge and retaliation are never appropriate goals. Why don't you leave him? You don't understand. 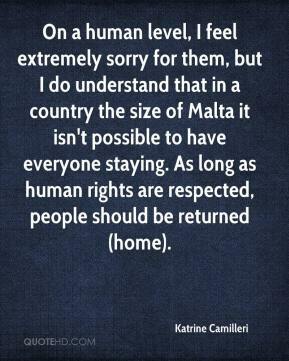 On a human level, I feel extremely sorry for them, but I do understand that in a country the size of Malta it isn't possible to have everyone staying. 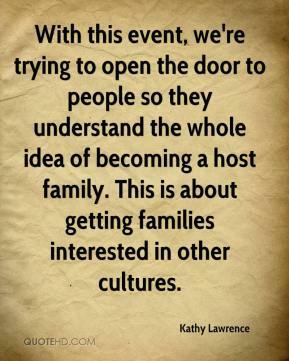 As long as human rights are respected, people should be returned (home).